Does anyone younger than 65 even recognize the name Hedy Lamarr? 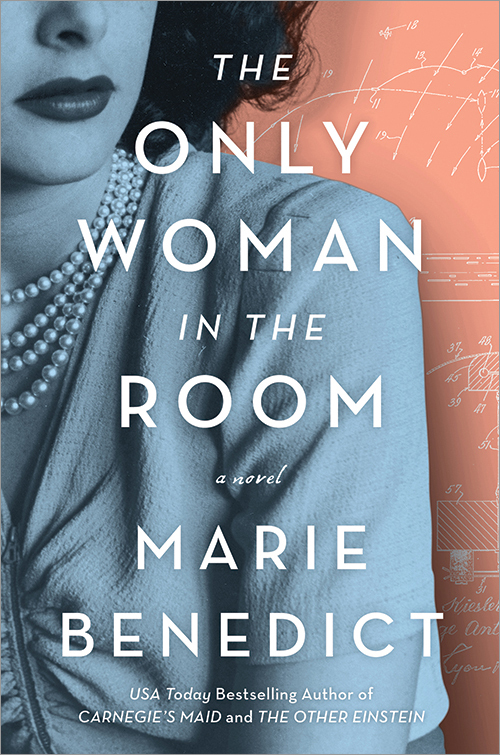 I wondered this after I read the new novel by Marie Benedict, The Only Woman in the Room, about the life of the actress who was a Hollywood sensation in the 1940s and 50s. And though I did know her name I had no knowledge about the life of this woman, who was so much more than an actress. She was, in fact, in possession of a serious intellect and was a wartime inventor in the United States – and though her inventions were not applied at the time they have taken on more importance in recent years. Hedy’s father realizes that Friedrich Mandl’s interest in Hedy may protect the family from some of the looming threats, as he is Catholic and well connected to those in power. And, Hedy, despite some misgivings enjoys the attention of this powerful and confident man. Fritz, as he becomes to her, is however, a domineering man – he struck me as a Trump-like character, a narcissist whose only interest in women is as an accouterment – arm candy to enhance his own image. Hedy is not blind to this but is more and more aware of his power and his ability to protect her family. Since she is always by his side, she is in the room when matters of politics are being discussed – and she is more than a pretty face. Hedy is an intelligent young woman and is well aware of what is going on in Europe and the threat of what is to come. Much of her knowledge is from the discussions between her now husband and Mussolini and their cohorts. Eventually, Hedy does manage to leave Europe and finds work in Hollywood – where she becomes the legendary actress and glamour girl we know from her films made in the 1940s and 50s. It was after the tragic sinking of the SS City of Benares, a ship attempting to carry children from England to safety in Canada, torpedoed by the Nazis, that Hedy Lamarr decided she needed to do something with her knowledge. She knew the there was a need “to improve the accuracy for the torpedoes of the Nazis’ enemies while finding ways to prevent signals to them from being jammed by Hitler’s men if a radio solution was to be utilized”. She and her friend, a pianist and composer, and fellow scientist, George Anthiel, set to work and came up with an invention they presented to the American Navy. Doing a little research, after I read The Only Woman in the Room, I discovered that there was a film made recently documenting the life of Hedy Lamarr – much the same story as this novel. A fascinating woman, and novel, and one about to be discovered by a much younger generation of readers.